MANGREEN-Director V. Balaji wins prestigious IUCN CEC Chairs Youth Award - DEEPWAVE e.V. Unser Mangrovenschutzprojekt MANGREEN und unser Leiter Dr. V. Balaji hat den weltweit renommierten Preis für die beste Aufklärungsarbeit im Küstenschutz von der Weltnaturschutzorganisation IUCN gewonnen. 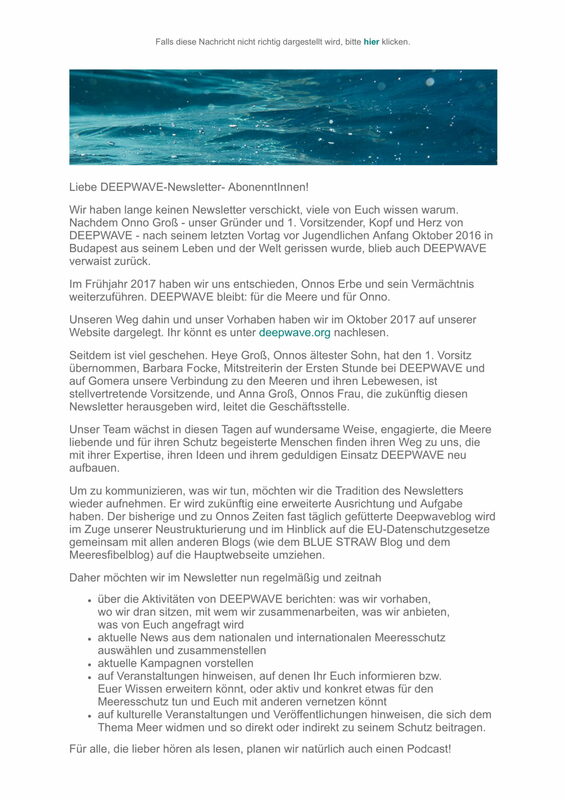 Im Jahr 2005, nach dem Tsunami, hat DEEPWAVE mit Mitteln der Lighthouse Foundation angefangen in Südindien den Meeresschutz zu stärken. Aus zwei ersten Schutzgebieten wurden im Laufe der Zeit mehr und mehr Flächen mit Mangrovenwäldern und die Küstenbevölkerung konnte zunehmend für die Nachhaltigkeit sensibilisiert werden. Mit Hilfe weiterer Spender – Eurosolar, NUE, Nolte-Stiftung, Marubis E.V., private Spender u.a.  konnten wir die Aufklärungsarbeit und Kampagnen weiter durchführen, denen unser ganzer Dank gilt. Mit Hilfe des BMZ gibt es mittlerweile ein sehr aktives Sozial- und Umweltzentrum, dass von Hunderten von Schülern, Studenten und den Dorfgemeinden genutzt wird. 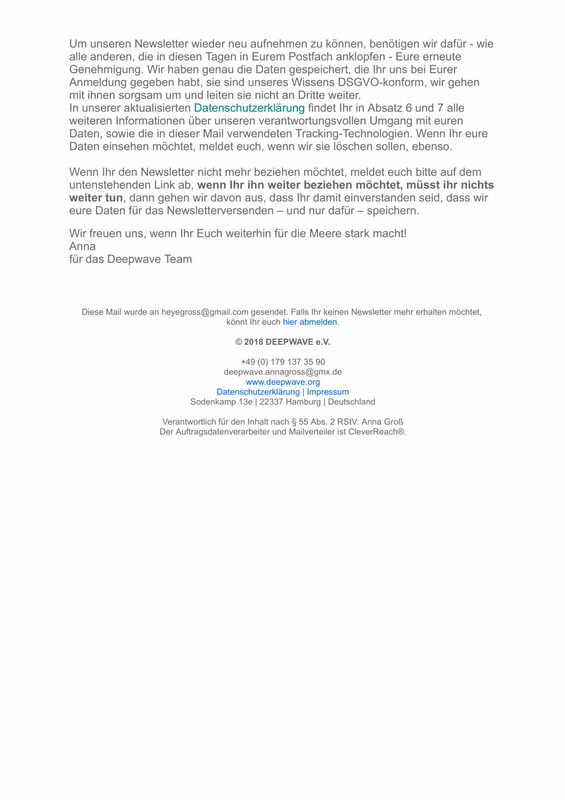 Eine unglaubliche Erfolgsgeschichte, finden wir, die wir Balaji und seinem Team verdanken! Durch die Präsentation auf dem IUCN-Weltkongress in Korea erhoffen wir uns nun noch mehr globale Aufmerksamkeit, denn finanziell steht das Projekt noch zu sehr in den Startschuhen. Eine Mangrovenpatenschaft hilft die Küsten in Indien dauerhaft zu sichern. Vedharajan Balaji of India has been awarded the IUCN CEC Chairs Youth Award for his outstanding work to restore coastal environments and raise awareness amongst local communities and children of the importance of coastal ecosystems. 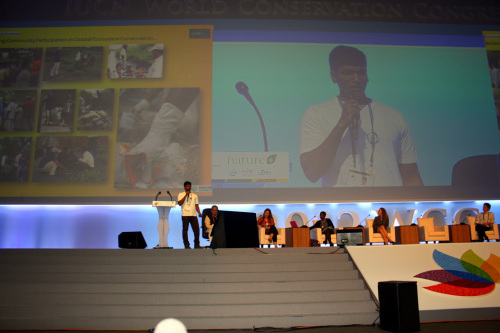 Vedharajan was presented the award at the CEC meeting of the IUCN World Conservation Congress on the 6th of September 2012 at the ICC Jeju in Korea. A panel of eight judges reviewed the 12 complete applications from seven men and five women from many countries (Bangladesh, Belgium / Georgia, India, Kenya, Nepal, Nigeria, Peru, Portugal / UK / Seychelles / Costa Rica, Ukraine, and United States of America). Keith Wheeler, Chair of the IUCN Commission on Education and Communication said, We received many strong applications and the panel of judges and I were very impressed to see so many outstanding young professionals actively pursuing environmental initiatives around the world. When Vedharajan was 17 years old in 1997, he was interested to talk about the beauty of sea grass beds of local coast and underwater photos of his self-made under-water camera to local school children. Inspired by motorcycle diaries of Che Guevara, he arranged an old motor bike and packed 5000 pamphlets about local marine conservation issues for travelling 1200 km along 590 fisher villages of his state in June 2002. 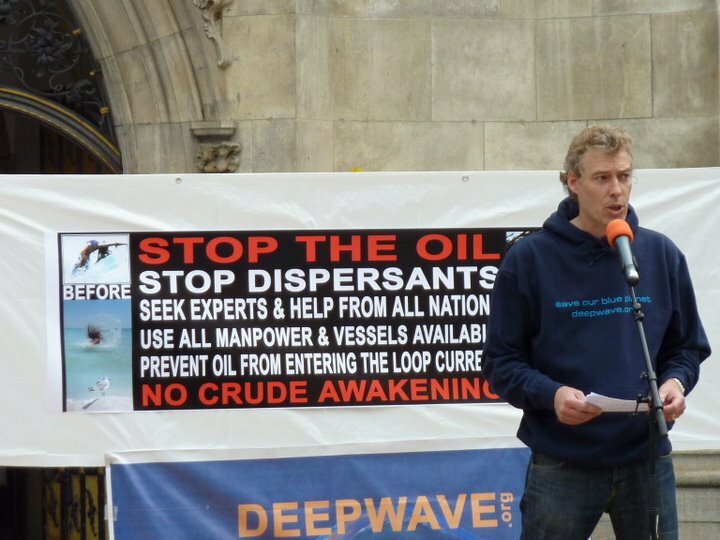 Since then he has completed many other adventures, traveling hundreds of kilometers to remote coastal villages and directly working with the local communities to raise awareness amongst thousands of children and fisher youth about protection of local coastal ecosystems. You can see more about Vedharajan and the OMCAR Foundation in this CEC news story and the OMCAR (and www.mangreen.org) website. This award is part of CECs commitment to supporting and showcasing the outstanding work being undertaken by youth and young professionals around the world. Dominic Stucker, CEC Steering Committee Member who coordinates the Youth and Intergenerational Partnership for Sustainability network, was very pleased to see such a strong field of candidates for the award. The award was based on the nominees commitment to the IUCN vision of a just world that values and conserves nature; a specific successful project that the nominee led including aspects inspired by CEC approaches; and what role the Nominee would expect to play at the IUCN World Conservation Congress as a CEC member and a young professional. Dr.Vedharajan Balaji, CEC member and Director of OMCAR Foundation, organized a mangrove exhibition in a southeast coastal village for 250 students. In 2011, a team from the OMCAR Foundation conducted coastal biodiversity awareness events reaching 1500 youths from various schools, colleges and universities. As a follow up, we expect to reach 2000 additional youths before March 2013. The events highlight the link between the economy, fisheries and mangroves of our local coastal area. While faciliators explain the issues, young people explore them through a series of displays using microscopes, live specimens and seedlings. In one microscope, we display mangrove breathing roots and its cross section. The second microscope displayed the salt secreting glands of mangrove leaves, which helped the students understand how mangroves tolerate extreme salinity. The other microscopes displayed planktons collected from local mangrove waters. Another display featured live specimens of Scylla serrata (mangrove mud crab). This crab species is caught everyday from our mangroves and exported to other countries. The students saw the crabs and understood the economic value of the mangroves explained by our team. In addition, three displays showcased different species of nursery-raised mangrove seedlings. We explained how to produce mangrove seedlings in nurserys, and how it is important to restore the degraded mangroves of Palk Bay. At the end of this event display, the students learned about a variety of molluscan shells collected from the local shore. The students enjoyed seeing and touching the shells, and they were curious to know why each shell has its unique shape, size and colour. Several flex banners were displayed in the event hall, featuring posters about mangroves, salt marshes, associated spiders, birds and mammals of Palk Bay. At its heart, the school students learned and enjoyed this practical mangrove awareness event, in which they particularly understood about how the mangroves play key role in food chain. One of the students expressed his new-found understanding: Oh! So we are all standing at the end of this food chain that starts from mangroves to planktons to fishes and finally to us, he said. This programme is conducted in a coastal village school, so the students will be the key players of local mangrove conservation. The students will convey the conservation message of this event to their father and mother who are daily venturing into sea and local mangrove habitat for fishing respectively. This event has its long term positive impact that will align with IUCNs international activities and UN millennium goal number seven B. This event is of interest to CEC members and IUCN because it comes under the Strategic Plan for Biodiversity Aichi Target 1. This programme was initiated by DEEPWAVE and is funded by Light House Foundation, Germany.